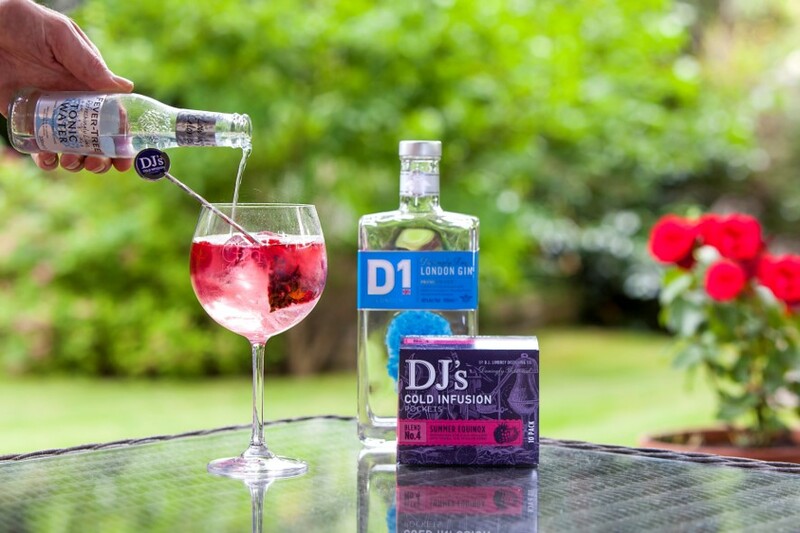 D1 London Gin was launched in 2014 as the first product by D.J. Limbrey Distilling Co, founded by Dominic Limbrey. The 'D' in the name refers to Dominic and the '1' refers to it being their first product. The gin is third-party distilled at Langley Distillery in copper pot stills with a neutral grain spirit and 9 botanicals, including nettles, almonds and citrus peels, and then bottled at 40% ABV. The bottle displays the ‘Floral Skull’ artwork created by Chinese artist Jacky Tsai. The Union Jack on the bottle and the floral skull (made iconic by Alexander McQueen) aim to tie D1 London Gin with modern, fashionable Britain. D1 London Gin is a smooth, versatile and complex gin, combining the classic with a contemporary twist in both the spirit and branding. The gin delivers a well-balanced combination of juniper, herbal nettle and coriander, citrus oils, liquorice sweetness, and warming spice. While lemon peel and orange peel are the only fruit botanicals, there's a intriguing and enjoyable non-citrus fruitiness to D1 Gin too, all adding up to a well-rounded and impressive gin that is ideal for a diverse range of serves. Garnish: Fresh mint. For more gins featuring nettles, try Biggar Gin from Scotland and Slingsby Gin from Harrogate. "As many brands became bigger, bolder and more intrepid in their flavour profile we’ve remained elegantly classic with a slight contemporary twist."